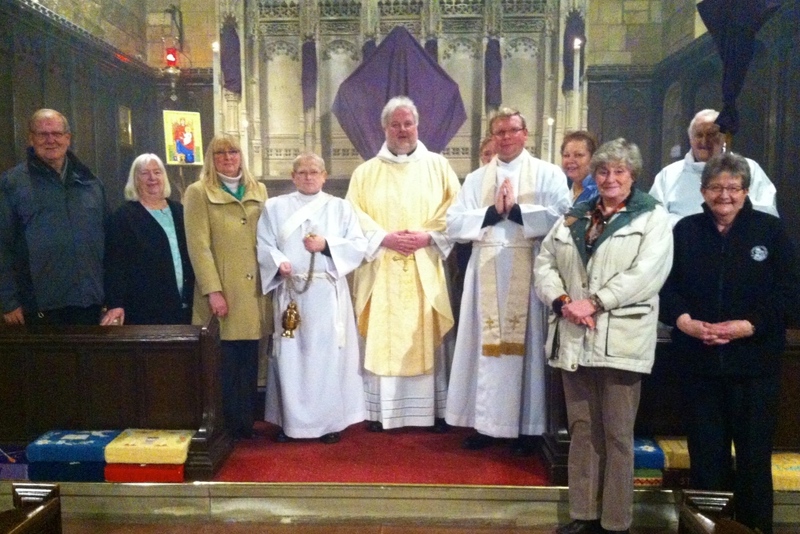 The East Cleveland Walsingham Cell met at Saint Margaret’s Parish Church Brotton on Tuesday 24th March 2015 to celebrate a vigil Mass for the Feast of the Annunciation. The Mass was attended by a congregation of members and friends from across the benefices of East Cleveland. The Mass of the Annunciation was celebrated by the Rector of Brotton, Father Jonathan Rhodes and assisted by the Rector of Skelton, Boosbeck & Lingdale. The Rector of Loftus, Carlin How & Skinningrove preached the sermon. The East Cleveland Walsingham Cell will next meet on Tuesday 28th April 2015 7:00 pm at Saint Aidan’s Parish Church in Boosbeck.